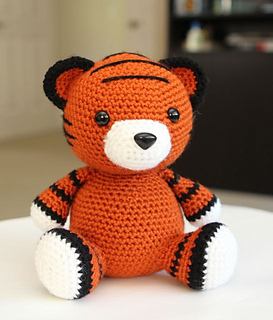 This chubby little tiger cub makes a really fun and cute crochet project! The instructions are easy to follow and there are plenty of pictures to help you along! Wouldn’t this make the perfect gift for someone special in your life? 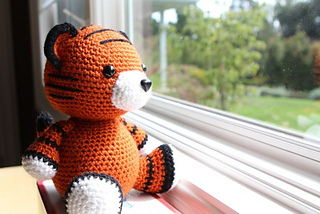 Cubby is a quiet and thoughtful little tiger. His roly poly body makes him super cuddly and cute! 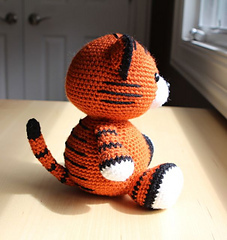 He’s a shy little guy who likes to observe his surroundings before jumping into any action. 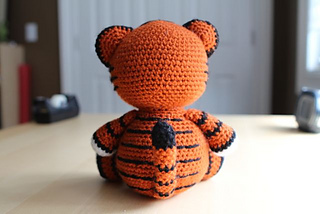 He is a loyal friend and a great listener! 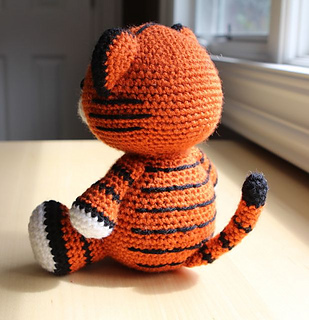 When made with the recommended hook size and yarn weight, this tiger sits at approximately 7.5 inches high.